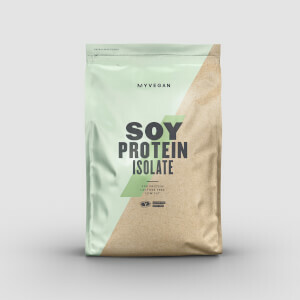 Completely free from soy and dairy, our all-natural Pea Protein Isolate is packed with 23g protein per serving, perfect for those training on a plant-based diet. Created from only plant-based sources, it’s a convenient way to get quality protein into your diet — helping you grow and maintain important muscle,1 which is vital for progress whether you’re looking to gain size, tone-up or lose weight. Plus, there's zero sugar, and only 107 calories per serving, supporting all your fitness goals. When to take Pea Protein Isolate? Just add 1 large scoop (30g) to your favourite smoothie or mix with water or milk, 30-60 minutes post-workout — or any time you want a protein boost. What does Pea Protein Isolate work well with? Our Pea Protein Isolate is the perfect plant-based shake to fuel your fitness goals. But, if you’re looking for a tasty treat to curb sweet-tooth cravings try our Vegan Protein Bars — with 13g of protein and no artificial sweeteners, it’s our snacking solution to help all-natural gains. "Why have you forsaken me, oh Lord?" One of the things that will probably go through your mind if you drink this on its own. Tears will roll down your cheeks, toes will curl,and the urge to throw the shaker across the room will be unbearable. Thankfully it's alright in a smoothie. I mix it with bananas, peanut butter, some rice protein, porridge oats and almond milk. Anything that can mask the foul taste. Smells like fish food, tastes worse. 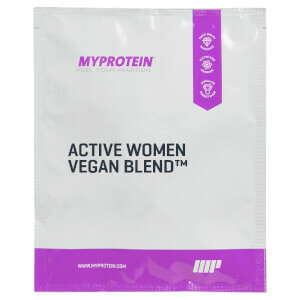 Does what it sayd on the tin, with its 23g of protein per scoop, and a fair bit cheaper than whey, but the taste and mixability is pretty awful. Even unflavoured is bad. Like, really unpleasant. Although, I found that I didn't feel as bloated after taking it than that of whey. Hidden in caves. Locked away in a secret chest. So no one can suffer anymore. product doesn't work the way it says it does, made me sick. Im fully lactose intolerant and this product says vegan which is a complete lie what a disgrace, i get severe nausea, frequent bowel movements and alot of gas issues. Best protein I’ve tried that’s dairy and gluten free , trying to find a protein that agrees with me as I have a gluten intolerance , texture is amazing and mix flavour drops in with ice and makes an amazing protein ice cream consistency 😍👌🏻 Would highly reccomend ! Having been a previous user of Hurricane XS and doing some research into the contents, i wanted a protein without all extra nonsense which isn't good long term on your body (sucralose/dairy!) Came across this - perfect! Making gains and definitely a winner in terms of ingredients. I love the taste - probably as i have an extremely low sugar diet (eat lots of green smoothies, veggies, dark chocolate - fruit my main sugar intake!!) the taste is fine, Having read some of the reviews (!!!) about taste I can see it being a problem for those with sugary diets or a sweet tooth. I love this and may give the hemp and brown rice a throw in the near future also as they look good by the ingredients list. Unplug from sugar - you'll make the progress you want and have long term sustainability! 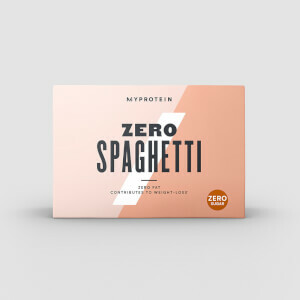 Well played MyProtein - very, very decent product!! Water, Oat/Protein pancakes, oat cookies! Very adaptable!! I really wanted to like this as it is healthy and not dairy based so has less impact on the environment. But....the taste is bad. Both me and my wife find it hard to stomach. I have smoothies with 150grams of frozen mixed berries, banana protein powder which has a strong flavour and even added 15 drops of flavouring, but the nasty flavour shines through. It also has a very chalky texture. Very hard to drink. Amazing for anyone who wants a healthy substitute for whey. It doesn’t tast too good though.